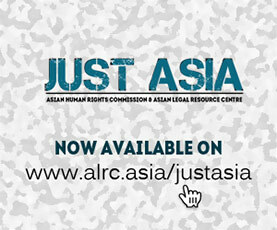 The Asian Human Rights Commission (AHRC) has been watching Nepal’s political drama unfold over the past month with great concern. 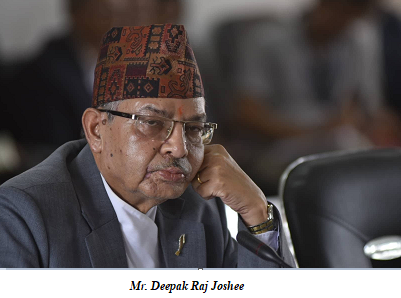 The main characters in this drama are Acting Chief Justice Deepak Raj Joshee, who is the nominee for the Chief Justice, the government and the 15 members Parliamentary Hearing Special Committee (PHSC). The Constitutional Committee led by Prime Minister K.P. Sharma Oli recommended Deepak Raj Joshee for the country’s Chief Justice position on 2 June 2018. The PHSC conducted its hearings on July 28. However, the PHSC could not come to a conclusion, even after many rounds of meetings. Members representing the ruling parties are reportedly against endorsing Deepak Raj Joshee, while the opposition is pressuring for him to be endorsed. Deepak Raj Joshee is a controversial figure in the judiciary’s history. There is evidence that Joshee is unfit to lead Nepal’s judiciary. Joshee is famous for holding lavish weddings for his children, and investigations indicate that he holds questionable academic certificates. He has given controversial rulings in the past. Furthermore, Joshee was obstinate and arrogant during the PHSC hearing on July 28. The PHSC members questioned Joshee on multiple issues for around two and a half hours, whereas Joshee took only some 15 minutes to answer. He skipped questions related to the illegal transfer of public lands to individuals, and other questionable judgements. It is obvious that if Deepak Raj Joshee is endorsed as Nepal’s Chief Justice, it will be a black-day for the judiciary. Nepal’s political parties are divided over the endorsement. While the ruling parties, the NCP and Sanghiya Samajbadi Forum Nepal, which command a two-third majority, are against Joshee’s endorsement, the Nepali Congress wants to see Joshee as the Chief Justice. It must be asked why Deepak Raj Joshee was recommended for the position of Chief Justice by the Constitutional Council if he was not suitable? The AHRC strongly objects to the present political game of blaming and shaming, with everyone using the judiciary for their own hidden agenda. Violence and threats are also being used in this political game. On the evening of July 31, Niru Pal, one of the PHSC members and a lawmaker from the Nepal Communist Party (NCP), was approached by unknown persons, who pulled out a gun and threatened to kill her if she attended the PHSC meeting scheduled for 1 August. They also snatched her mobile phone. This speaks loudly about the security situation in the country. It is also an indication of how vested interests are trying to influence the independence and integrity of the judiciary. This is hardly a good sign for a country on the path to development and rebuilding its institutions. Meanwhile, Deepak Raj Joshee has been busy meetings leaders from different political parties including the Prime Minister K.P. Sharma Oli. The PHSC members are reportedly having consultations with leaders of their respective parties in order to reach a decision. The AHRC urges the PHSC to conclude this judicial drama at the earliest. The longer the PHSC takes to make a decision, the greater the chances for more political meddling. In a democratic society, tainted figures must not assume any public positions, and a Chief Justice must have a track record of expertise, independence, honesty, transparency and accountability.